Effectively done social media memes and graphics have become a great tool to grab the attention of potential customers on social media channels these days. Having worked with registered nutritionists and dietitians, we understand how tight their schedule is. 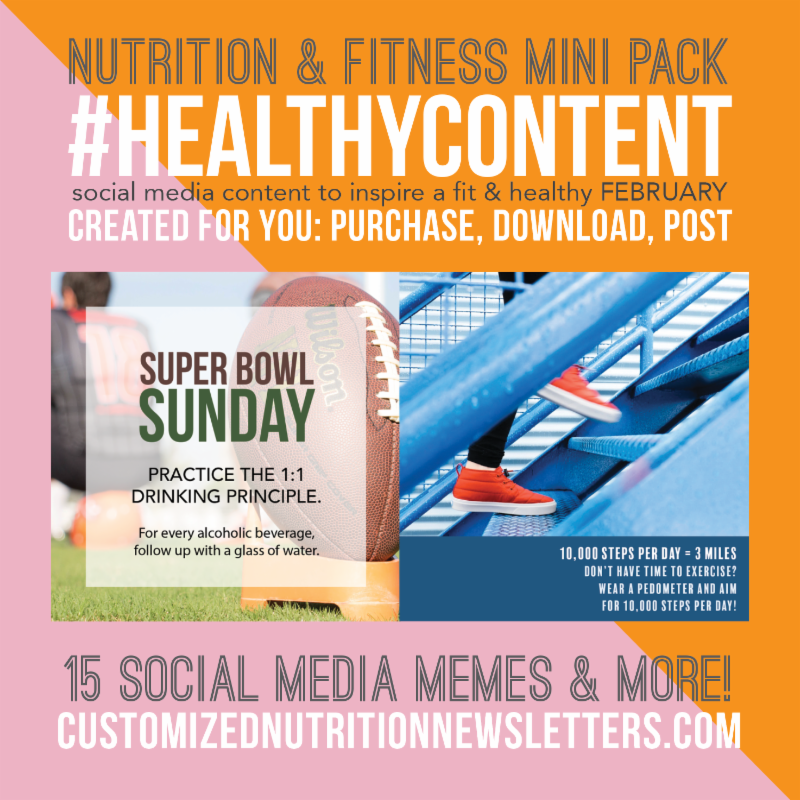 To help our nutritionists, fitness experts and health and wellness coaches; we have created visually appealing and educational social media memes that help represent your brand in the most appropriate manner and attract existing and potential customers. February is a happening month. It is the American Heart Month, the National Cancer Prevention Month and has a slew of events and important health-related dates lined up. 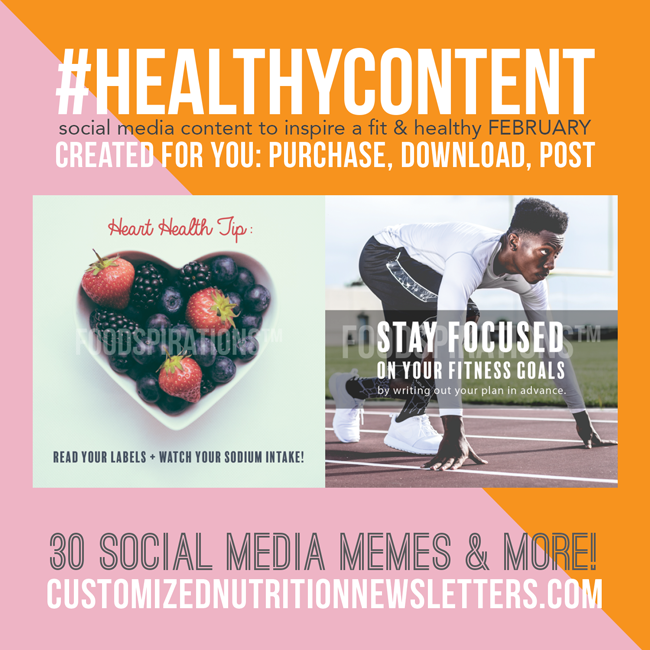 To help you reach out to your customers and expand your health and fitness business, we offer attractively created done-for-you health and wellness social media memes that inspire healthy living and lifestyle. 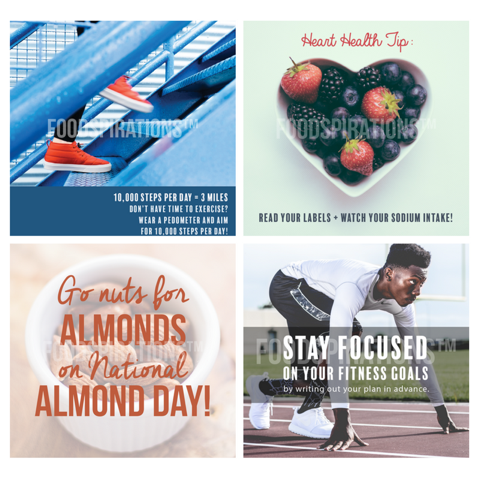 This health and wellness social media bundle comes with 28 beautiful designed graphics consisting of inspirational and educational content that is sure to inspire your community of followers. Once you make the purchase you will e-mailed a link to download the files and share on your various social media platforms. 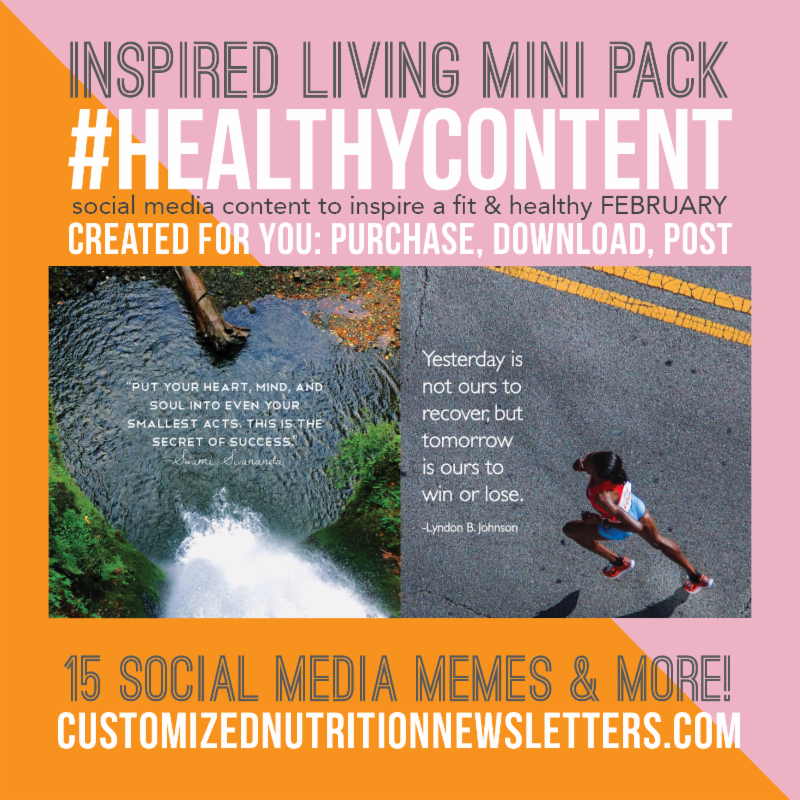 The Healthy Content Complete Bundle includes all content from both the nutrition and fitness bundle as well as inspired living bundle. All packages include a word doc with pre-written content you can use on your social media post as well as popular hashtags to help increase followers on Instagram and Twitter! Use the code healthycontent20 to take 20% off your order! 15 pre-designed memes related to nutrition, weight loss tips and fitness that are sure to encourage your readers to adopt healthy lifestyle. Only for $59.00! 15 pre-designed visually appealing health and wellness social media memes related to mindful eating, self care and inspired living. Only for $59.00! What’s more! Along with the social media meme bundles, you will also receive a list of 30 popular hashtags to connect with your target audience on the World Wide Web. Social media memes are everywhere on the Internet. Internet users don’t read but scan. Social media memes with the right image and effective text make an impact on the reader’s mind. Use our carefully designed social media memes on all your social media channels and push them to market your brand and nutrition business.